In this video, I am going to show you simple and easy Step By Step bun Hair Tutorial Video. this Easy Bun Hairstyle tutorial for wedding /party/Guest hairstyles for girls. 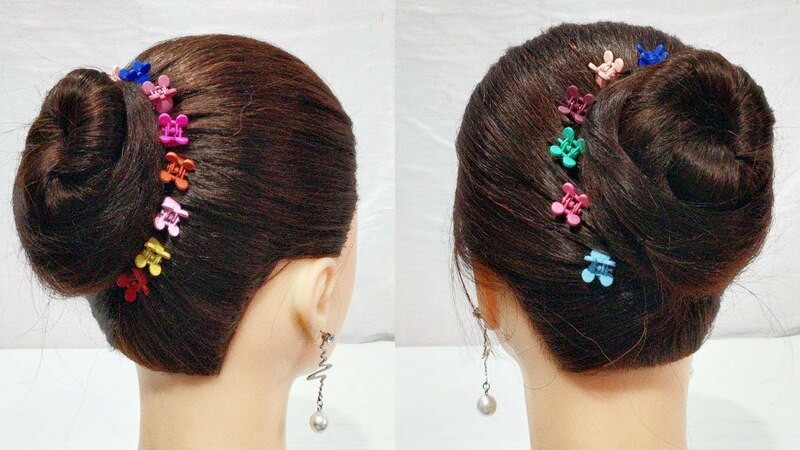 ladies/women can also do this this unique party juda bun Hairstyles,this hairstyle is suitable for long hair/medium hair.this wedding/function hairstyle will be a so easy for you!if you have learned from our hairstyle tutorials, this will be a so easy for you!It keeps all your hair way and also looks really cute. you can FOLLOW ME !